Horses are reknowned for their ability to force people to take pause from their caos and reflect. It’s no small wonder that they have a healing affect on us. 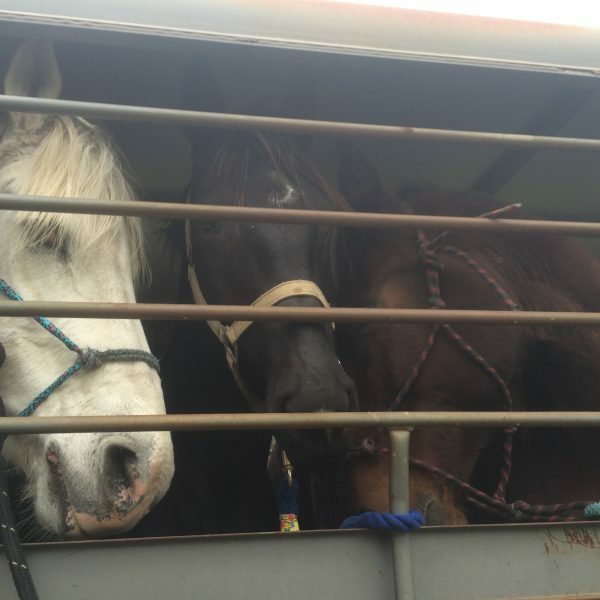 Below, enjoy an exert by Kristin Gonzales on her experiences on a wonderful horse vacation, coming from the vantage point of a struggling 8 year old who sought refuge on the back of one of these magnificent animals. I remember 2004 as a devastating year. I was 8 years old and attending 4th grade. Not only was I discriminated against because of my skin color, I faced every waking moment afraid that at any given time I could get THAT phone call. Just a few months before school had started my brother was diagnosed with Burkitt’s lymphoma. This a rare type of cancer that starts in immune cells, and is the fastest growing human tumor that is rapidly fatal if left untreated. He was at the very last stages of cancer, and only had a 30 percent chance of living. You can imagine what our families feelings were at the time, but I am not here to share a depressing story. I’m here to share a miracle. My brother fought hard for two years with lots of prayers, went into remission late August of 2006. I was about 10 at the time, and we just moved to a new city. We were going to start completely fresh at brand new schools with very friendly people. But the best part was we were able to have an unimaginable vacation of a life time. Chris had the opportunity to partner with Make-A-Wish foundation and go on a dream trip, and was able to do whatever his big heart dreamed of. For the first two weeks of school we were able to go to Hawaii! When we arrived it was so breath-taking and lively. I remember the beautiful buy arcoxia uk colors of the sunset hitting the bright blue ocean, and the smell of fresh pineapple being open. But more importantly I remembered our first and most favorite outing. Horse-back riding vacation on the mountains of Waikiki beach. This was something my brother had always longed to do, and I never have had the opportunity to ride on a horse before, was a bit skeptical. As soon as we made it to the small ranch on the mountain side you come across a row of these magnificent creatures. They were all dressed with vibrant lays, Hawaiian flowers, and each had their own personality. Something that was very important that the guide had mentioned was to pick the horse that is most compatible with your personality as well. Knowing that I came across a beautiful paint with orange and pink lays, her eyes as blue as the ocean below. I was a bit timid at first, but watching my brother having an amazing time really made the whole experience of this unforgettable horse vacation amazing. You feel very invincible when riding, and ever since that moment I have always been so drawn to horses. Every time I get on one I think back to that day, and I feel so warm and happy. I would encourage you, if you are fearful to give it a try and have that same experience. I can promise you without a doubt you will want to ride forever. 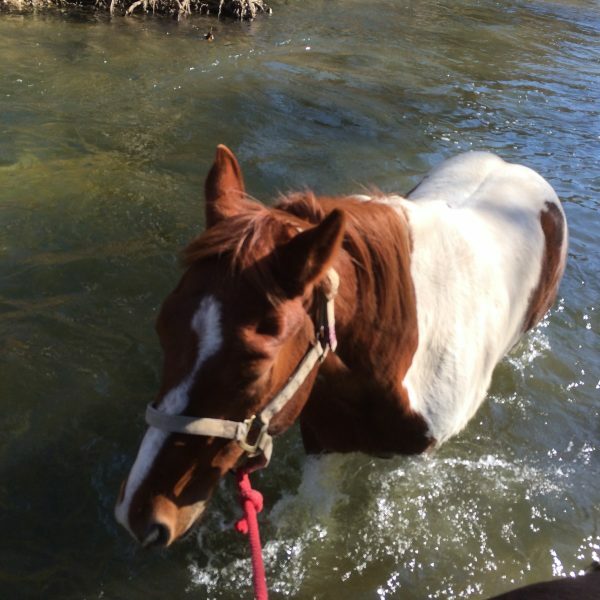 Thanks, Kristin, for sharing this fantastic horse vacation memory with us! If you are interested in contributing a story, please contact us for more information. 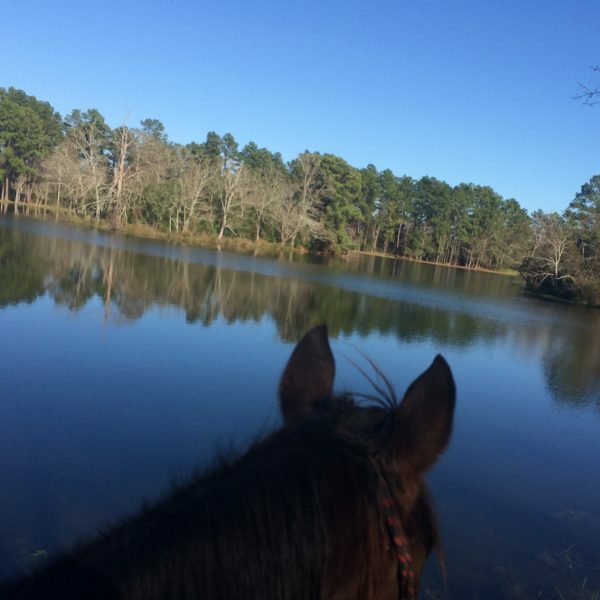 We love to hear about your experiences on horseback, your travels, where you recommend and where you’re going next.